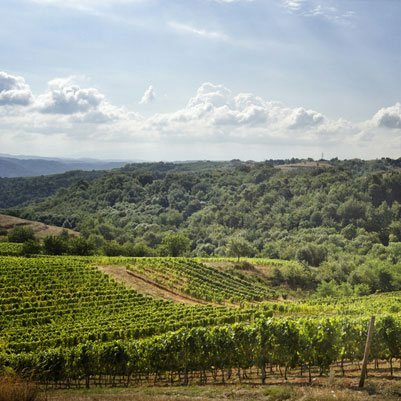 The winegrowing area bears the name of the river, because it is this geological fold in the earth that sets the tempo, gives it its authenticity and its point of origin. From one bank to the other, its movements are so many indicators to understand the terroirs. The northern part of the Rhône begins at Saint-Péray, facing Valence and stretches along to Saint-Cyr-sur-le-Rhône opposite Vienne. Although situated on the 45th parallel, it still benefits from a continental climate with cold winters and warm summers. The semi-continental climate is influenced slightly by the Mediterranean at this latitude. 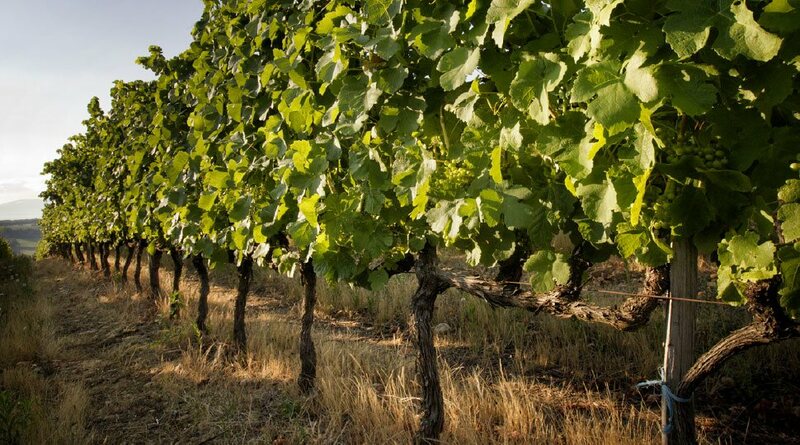 With a superb amount of annual sunshine, dry, hot summers, cold winters without excessively low temperatures and mod-erate rainfall, the winegrowing area has in these very good weather conditions an ideal, natural ally. 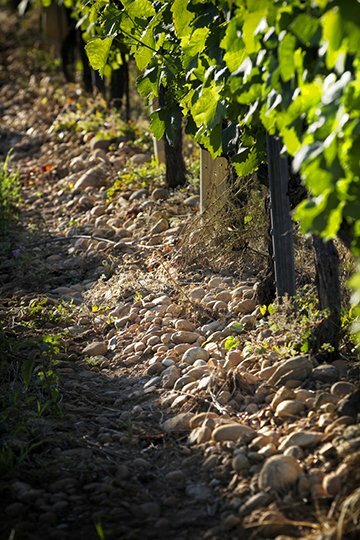 The Northerly wind blowing almost constantly in the Rhône Valley dries the air and protects the vine. During the Miocene era, after the withdrawal of the Mediterranean Sea, the various hollows, jolts and eleva-tions of the Alps pushed the Rhône back towards the Massif Central. It sunk down there and penetrated deeply the granite base in Vienne and to the north of Tain l’Hermitage and, with the Isère River, formed several levels of terraces on the right bank and the plain of Valence. This characteristic landscape was to welcome the vineyards of the Crozes-Hermitage and “Collines Rhodaniennes” appellations. 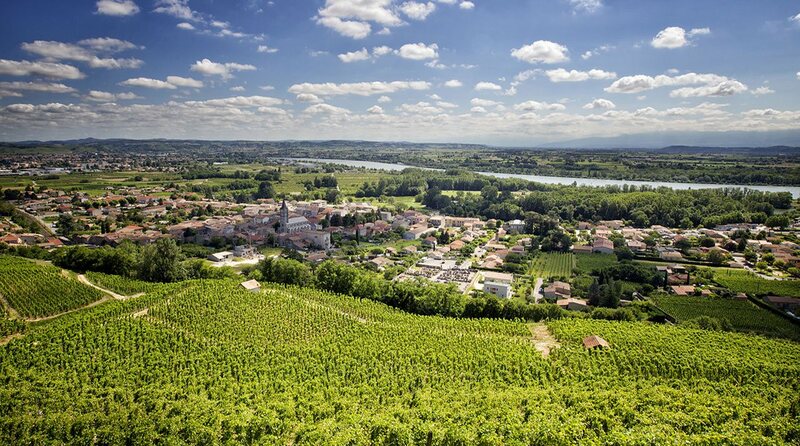 Since 1972, Clairmont has been firmly established on the left bank of the Rhône, in the town of Beaumont-Monteux, very near Tain-l’Hermitage and close to Valence. 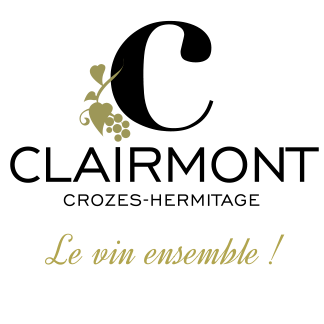 Clairmont, a key stakeholder of Crozes-Hermitage, owns 115 hectares in the heart of the appellation situated on the 45th parallel. 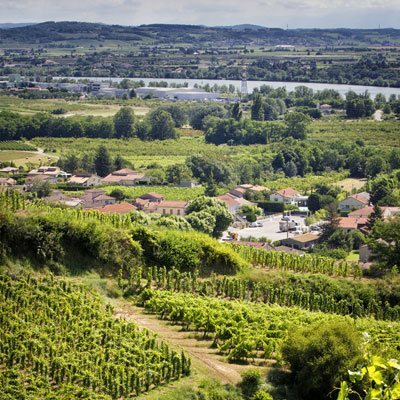 The most immense appellation of the northern Rhône winegrowing area, Crozes-Hermitage covers approxi-mately 1 700 hectares across 11 towns and villages of the left bank. Very closely linked to the history of l’Hermitage, the slopes and terraces of Crozes and neighbours gained their independence in 1937 with the creation of an appellation in its own right and with terroirs clearly identified. 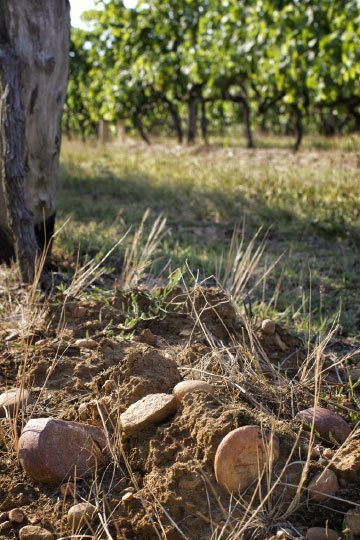 An essential asset for the distinctive characteristics and diversity of the wines, the 115 hectares owned by Clairmont are located in four distinct geological areas. A first area is found in the mountainous area of the locality named “Les Chassis”. It lies upon a thick, layer of smooth, rounded pebbles giving good drainage, originating from various periods of the ice age, mixed with red clay. A third area, located on the terraces of Beaumont-Monteux, lies upon soil comprised of sandy-clay and allu-vium of ice age origin giving good drainage, with very stony and deeper soils. 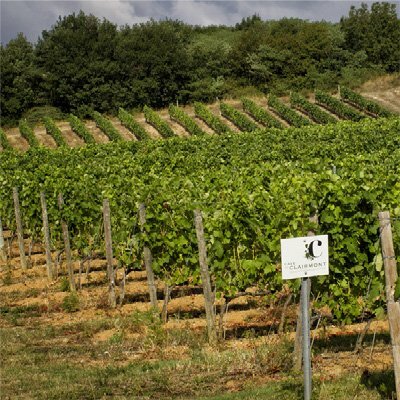 A fourth area is found on the granite slopes of the town of Crozes-Hermitage. From the 14th century up until the time of the French Revolution, this winegrowing area belonged to the Carmelites, priests of the order of Mount-Carmel. The wine’s name probably dates back to this period, a statue of the saint was found on the hillside between Tournon and Mauves. The appellation begins at Guilherand in Ardèche and stretches to Chavanay in the Loire. In its southern part, it surrounds the wines of Saint-Péray and Cornas. Ruby-coloured, supple and round, Saint-Joseph wines are the dandies of the northern area of the Rhône. 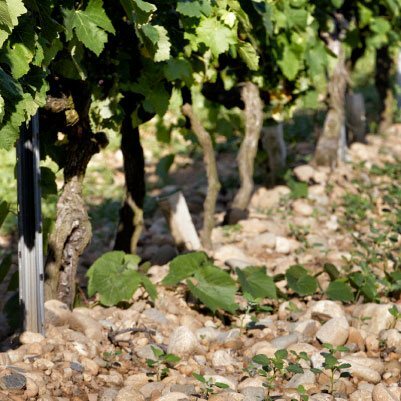 The result of a hybridisation between the Dureza, a former grape variety of the Ardèche region and the Mondeuse Blanche, Syrah finds its origin in this northern part of the Rhône area where the semi-continental climate encourages good ripening, but not to excess. With poor terroirs that provide good drainage, a South-East or South facing position and Northerly wind, all the conditions are combined here for this variety to express all its sumptuousness: a vivid, purple hue, aromas of black fruit and spices and well-structured tan-nins. 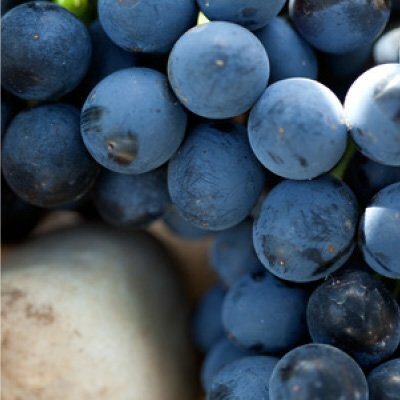 Syrah produces wines which have a sensation of smooth velvetiness and powerfulness. 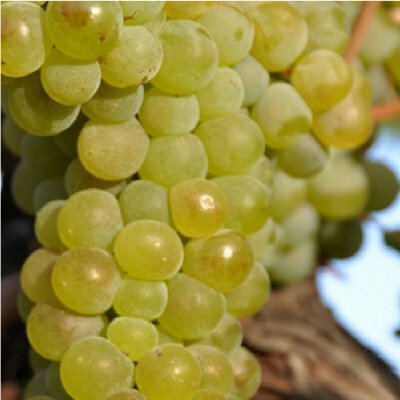 Second emblematic grape variety of the Northern area of the Rhône, Marsanne is certainly of local origin. It is firmly rooted in its terroir. 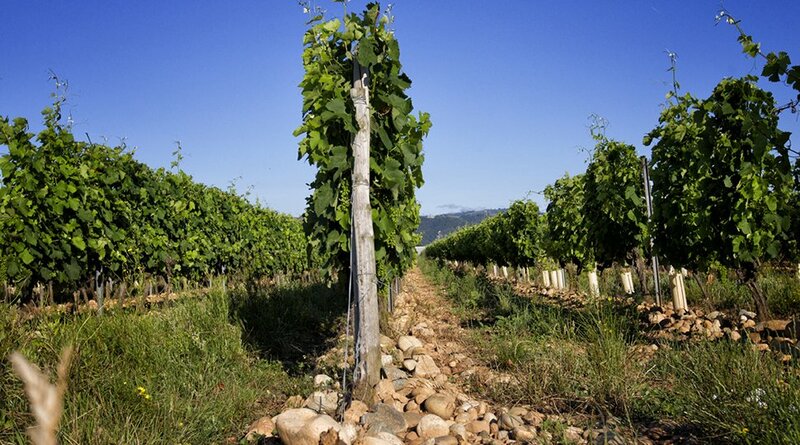 In fact, by dint of hard work and patience, the “Allobroges”, a Celtic population established here during the 3rd century B.C., chose it as their variety of vine. 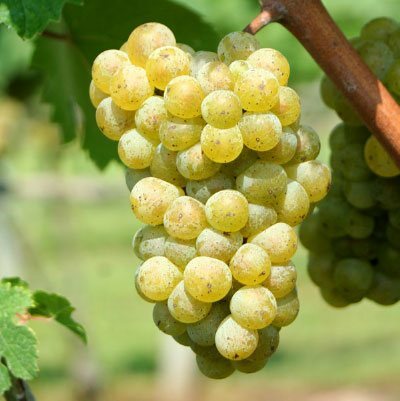 The Marsanne is identified by its characteristic, delicate bitterness. When young, the appeal of its wine lies in its charm and its aromas of dried fruit and flowers. Older wines are impressive for their structure and notes of fruitiness that have developed to notes of dried fruit and honeyed hints. Another leading grape variety of the Northern area of the Rhône, its name comes from the reddish colour of its grape berries. Roussanne probably belongs to the varieties of vines chosen by the “Allobroges”, a Celtic population established here during the 3rd century B.C. Unlike Marsanne, it requires closer observation because of its sensitivity to the risks of weather conditions, which almost led to it disappearing completely from the Rhône Valley. All the care it requires is largely re-warded by its undeniable qualities: aromatic complexity with fresh sensations of infusions of fruit, pure acid-ity which gives a real potential for ageing and natural elegance. 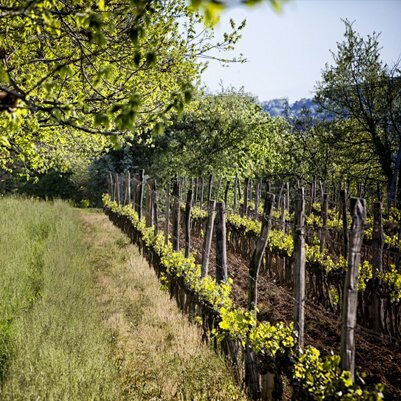 Blended with Marsanne, Roussane brings the delicacy of its structure. These wines for sharing and conviviality are the younger brothers of the prestigious appellations of the Rhône Valley. Clairmont owns vines in this area of production on terroirs of fine quality. They are located on the right and left banks of the Isère in the towns of Granges-les-Beaumont, Clérieux and Châteauneuf-sur-Isère, on terroirs of ancient alluvium, with a high proportion of smooth, rounded pebbles, as well as in the town of Crozes-Hermitage on a granite terroir. 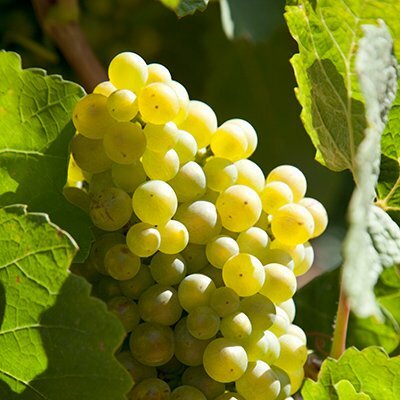 The origin of this fine white variety is difficult to determine. Was it introduced at the period around the years 50 to 125 B.C., as the historian Plutarch seems to indicate or is it a native variety? 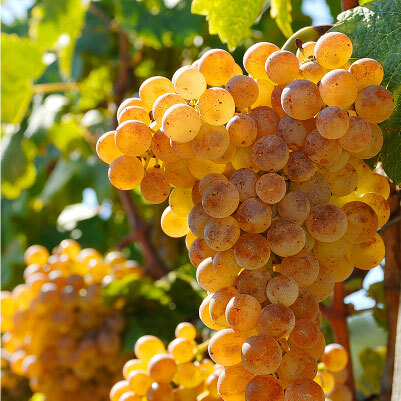 One thing is certain: we find traces of the Viognier before the Christian era. This complex grape variety of late ripening requires the greatest care. It produces white wines that can be distinguished among all others, with a bouquet of aromas calling to mind orchard fruits of this region. This fine grape variety of Burgundy origin, present in the Rhône Valley only fairly recently, has found its place for PGI (Protected Geographical Indication) Collines Rhodaniennes wines. Thanks to the surrounding mountains, it is very well acclimatised to this semi-continental climate. Planted on alluvial terraces formed by alpine diluvium, this Rhône Chardonnay produces white wines which possess complete roundness. 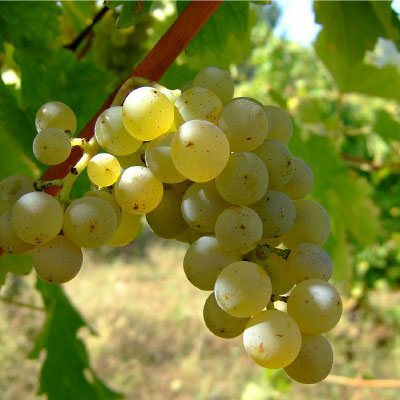 This emblematic white grape variety of France, present mainly in South-West France and in the Loire Valley, is also widely planted in PGI for varietal wines. Planted at the panoramic viewpoint of Méjeans in the town of Crozes-Hermitage, it flourishes on terroirs comprised of decomposed granite. Its freshness and very special range of aromas based on hints of citrus and flowers make it an ideal choice for those who love elegant, lively white wines.